register for 7-week princess class! 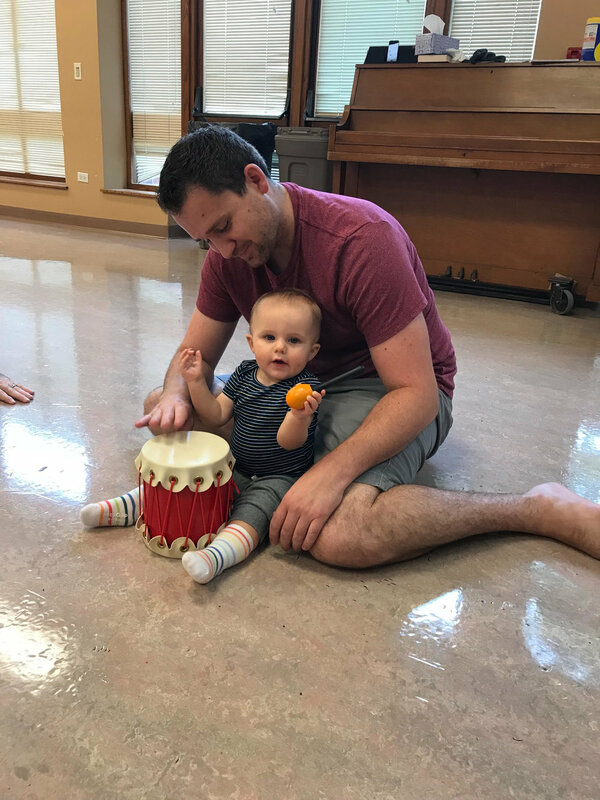 Our ChildsPlay Early Childhood Music Education Classes keep things fun as children ages birth to 7 years are introduced to music in a playful, expressive and comfortable setting. Our Mixed-Age Classes are taught with children from birth through 5 years old in the same class, keeping the climate playful and both parents and kids engaged in a comfortable and musical setting. The Big Kids Music Classes, and Group Lessons in Piano, Ukelele, and Introductory Violin offer a wonderful way for kids ages 4-7 to stay in the play loop and begin building the foundations of formal music education. And it doesn't end there--the other programs at The Bach Academy provide a seamless transition for children to continue their musical journey through a variety of programs all the way through 12th grade and beyond! Join us and see how much fun musical learning can be! What makes ChildsPlay different than other Early Childhood Music programs?. . .
Our primary method of teaching is Mixed-Age, meaning you’ll find kids from birth to age 5 in the same class. This gives our classes a wonderfully informal feel, allowing kids (and parents) to relax and enjoy their time with us. We know that children have 3 different learning styles; our kinetic learners move freely during the class, our visual learners tend to stay in one place and observe intently, and our aural learners sometimes turn their backs so that the activity in the room doesn’t distract them from listening carefully. We honor all these learning styles by creating a very fun, lighthearted, musically-rich environment where they can participate however they want. What can I expect during class?. . . Classes are 45-minutes in length and we move pretty much the whole time. We encourage parents to dress comfortably, as we will be playing the with the kids on the floor, shaking shakers, playing drums, jumping up to dance (twice! ), doing fingerplays, jamming with a big bucket of instruments, and so much more. We end class with a snuggle song before we sing Goodbye; often the kids would rather dance during that song than snuggle, and that’s fine with us! Families receive a playlist of music that we use in class for each session, and they are encouraged to listen to it at home and in the car as much as possible. This gives kids growing confidence each week, and of course that makes for happier, more content children. Our families also find that even the crabbiest kiddos often calm down quickly when they hear “their” music from class. We also work really hard to keep the music enjoyable for adults as well as the kids, and we’re always hearing from parents who say they sometimes listen to it in the car, even when they are alone. Can both parents attend?. . . Absolutely! 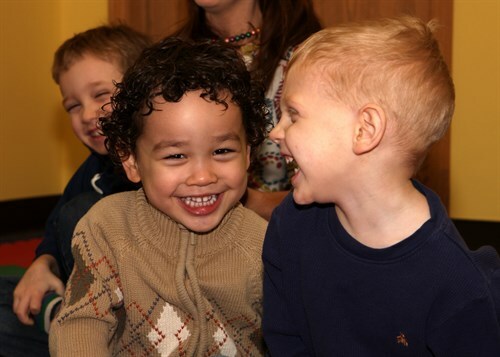 When you register your child for our program, you are part of our family, and we welcome yours. Grandparents, aunts and uncles are encouraged to join us when they can. In a perfect world, all the important people in your child’s life would know the music they sing in class, and would burst into song as often as possible. We have lots of families that say their child Facetimes with Grandma/Grandpa and they sing songs from class together. There is no greater goal than that! What can I expect my child to learn?. . . While we discourage the idea of goals, your child will be exposed to a rich collection of music, with varying meters and tonalities. We occasionally mention in class the meter or the tonality of the piece, but most of the time we simply sing/dance/play and allow your child to take it in and organize it in a way that makes sense to them. We move toward Basic Music Competence, which is the ability to sing in tune (regardless of tonality) and keep a steady beat (regardless of meter). Children reach this milestone at different times and often reach one skill much earlier than the other. This is normal and perfect and exactly why we love the Mixed-Age concept. What you CAN expect your child to learn is that music is incredibly fun, especially when they experience it with the people they love most in the world. How long are sessions and how do I sign up?. . .
We offer rolling registration on a subscription basis so our kids can enjoy the consistency of coming each week, and parents can enjoy the consistency of an uninterrupted routine. Register online below where you’ll note that our sessions are listed monthly. Once you’ve registered, you can keep your day and time for the entire year if you like. If you need to change classes or cancel your subscription, just give us 30 days and we’re happy to take care of it. Classes are offered 7 days/week, with morning, afternoon, and evening classes available. We have a generous makeup policy, and with so many classes running each week, it’s typically not difficult to find something that works for every family. We’d love for you to join us!